East Liberty Section of Pittsburgh: View of the Highland and the East End Savings & Trust Company Buildings - 1921. The buildings were constructed during the heyday of East Liberty. 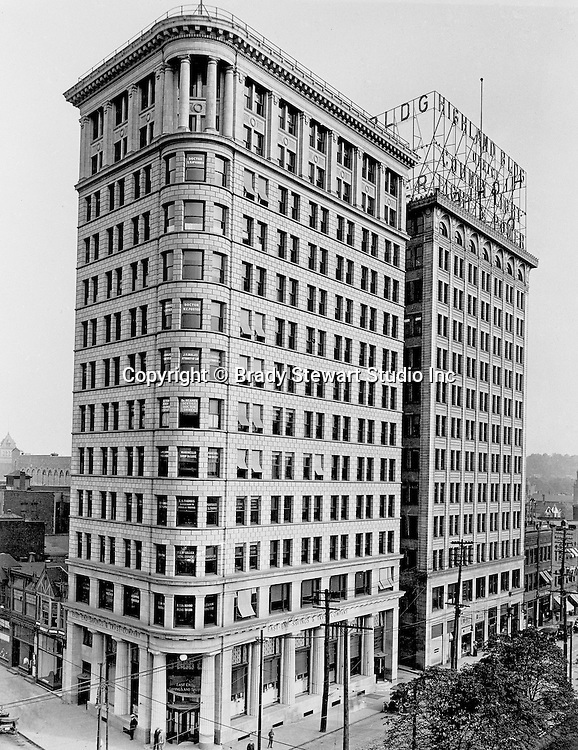 The Highland Building is still standing today but vacant. Rumor has it that Federal redevelopment monies will be available to refrubish the building in 2012.